State Theatre Restoration | Bay City | John Canning & Co. 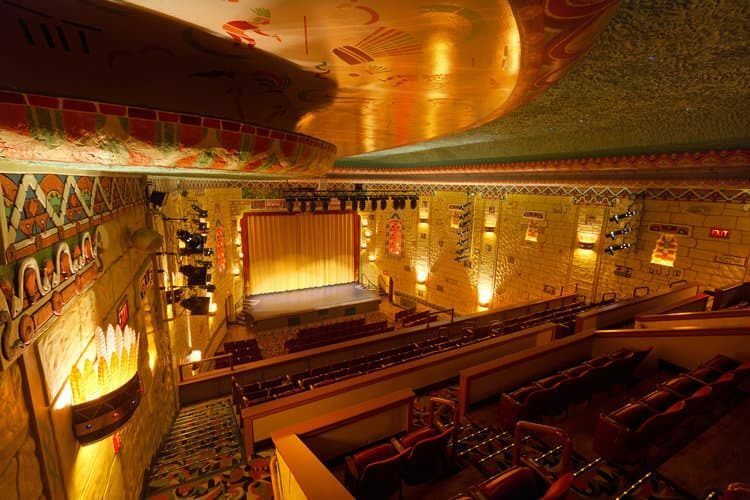 Historic paint analysis and interpretation by the Canning Co. defined the original colors and finishes of the 1930 redesign of the State Theatre in Bay City, Michigan, setting the scope of work for their reinstatement. 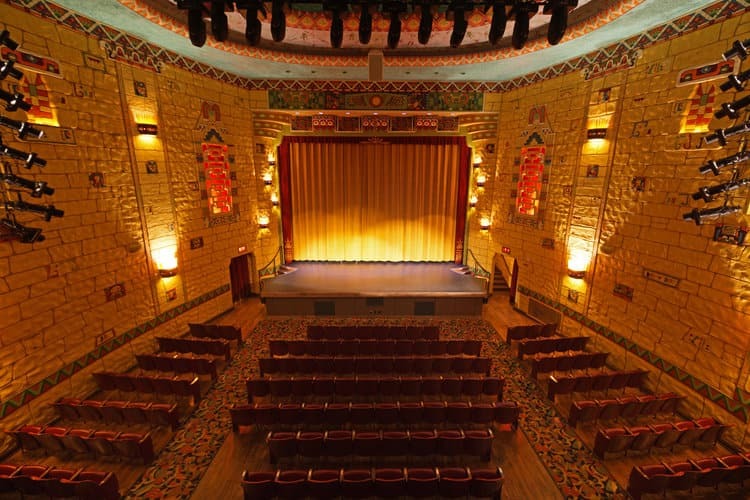 The John Canning Co. was the consultant and specialty contractor for the decoration restoration to the 1930 style of the State Theatre of Bay City, MI. Canning Co. performed a historic paint analysis and plaster conditions analysis to reveal the original earthy sandstone color. In 1930, the 1908 vaudeville theatre was reconfigured as a movie theatre receiving a major redesign, inside and out, by architect Charles Howard Crane. Crane combined the popular styles of Art Deco and Mayan Revival to create a façade and interior that resembled a Mayan pyramid.